are you high? you must be...... your going to share right??? 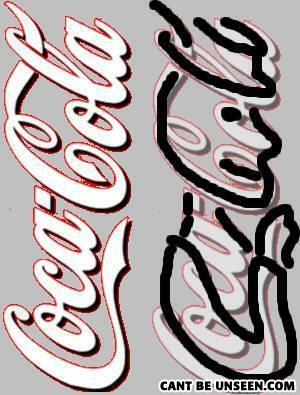 Now I'll see this whenever I look at the Coca Cola Logo sideways. Which isn't very often. Especially since I don't even drink Coke. A black man walks into a bar. the bartender ask what he wants to drink.